Sometimes you want the service to be heard outside of the main sanctuary. By buying this product you'll earn up to 1272 Rewards points. Sometimes you want the service to be heard outside of the main sanctuary. You may want to pipe the pre-service music into the lobby as worshippers arrive, or you may want to make sure parents of infants can still hear when they're in the cry room. This bundle features an amplifier and three separate pairs of speakers so you can make sure everyone's included. The amp takes the feed directly from your church's main sound board, and each pair of speakers has an individual volume control. The heart of this system is the JBL CSA 180Z power amplifier. It provides 80 watts of clean, efficient power — plenty to drive the included speakers. Every church, mosque, or temple is built differently, so we've included several speaker options. 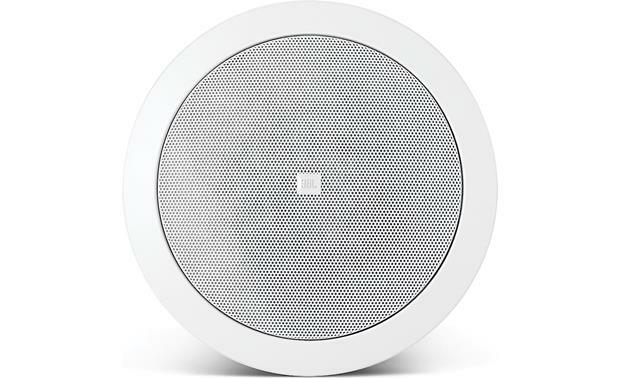 You'll find one pair of surface-mount speakers that can hang on just about any wall, and two more pairs of in-ceiling speakers that are ideal for classrooms, offices, and similar enclosed spaces. 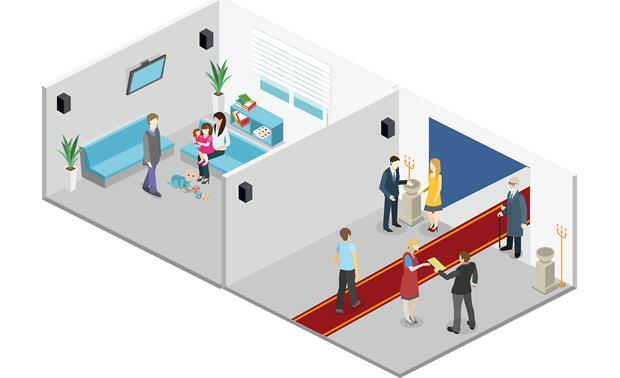 Do you have more than three auxiliary rooms in your place of worship? Less? Not quite sure what you need, and want some advice? Our system designers can help. Bundle Items: The JBL Pro Church Auxiliary Sound System Bundle consists of a JBL mono amplifier, two pairs of JBL Control in-ceiling speakers, and one pair of JBL Control surface-mount speakers. The system also includes three Atlas in-wall volume attenuators and 1000 feet of plenum-rated 18-gauge speaker wire. Bass and Treble: The JBL CS series amplifier offers independent Bass (+/-10dB @ 100kHz) and Treble (+/-10dB @ 10kHz) adjustment. A small flat-blade screwdriver is needed to adjust bass and treble. Unbalanced and Balanced Inputs: The JBL CSA180Z commercial series amplifier is equipped with a stereo RCA unbalanced input which will stereo sources. The amplifier is also equipped with a 3-pin Euro-block connector that can be used as a balanced or unbalanced input. Dimensions: Width 8.625", Height 1.75", Depth 14.0625", Weight: 6.9 pounds. 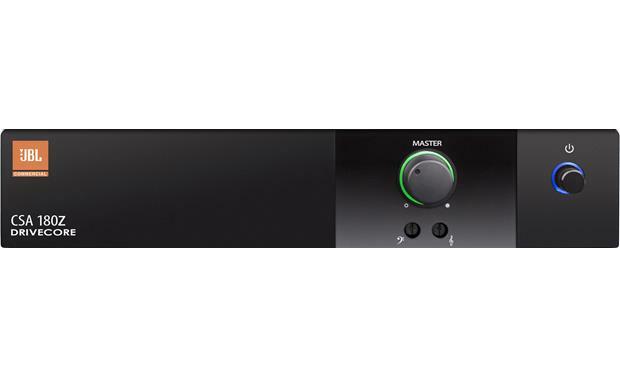 Removable Locking Connector: Input connection is conveniently provided on a removable locking connector (included), providing secure connection via screw-down terminals and allowing a system to be pre-wired before installing the speaker for fast snap-on convenience. 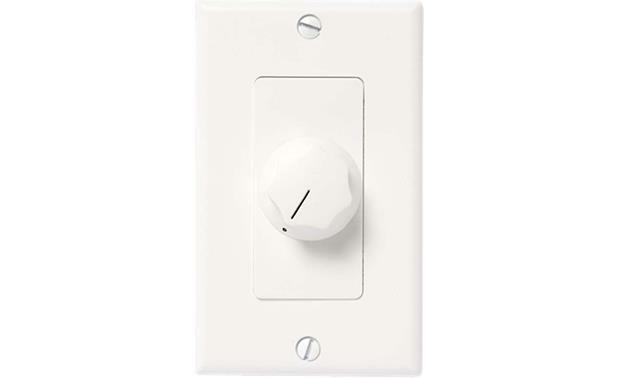 Separate connector terminals are available for the input and for the loop-through wires, making it easy to jumper the speaker signal to additional speakers. The input terminal plate provides strain relief for either bare wire, plenum cable, or 0.5" conduit. The terminal box is securely enclosed to meet safety codes. You will need to remove a Phillips-head screw to access connector terminals. Mounting Options: Installation of the Control 24CT is quick and easy. The loudspeaker is packaged complete with the back can, grille, support backing bracket, and tile rails. The entire installation can be accomplished without requiring access above the ceiling. A template is provided for marking the cutout. An innovative C-shaped support backing plate can be installed from below through the cutout to reinforce the top of the ceiling material. Tile bridge rails are included which can be screwed onto the C-plate to extend support to the T-channel grid in suspended ceiling installations. After the speaker is fitted through the cutout, it is held securely in place via three mounting tabs which tighten onto the C-plate, if used, or directly onto the ceiling material. Note: The Control 24CT back can is made of formed steel and the speaker is suitable for use in air handling spaces, per UL-2043. An attachment loop is provided on the back can for cabling to the building structure as a secondary support in seismic areas or where required by code. Dimensions: Diameter 7.75" Depth 8.0625"
Weather Resistance and Paintable Enclosure: Weather resistance is maximized by the Control 25AV speaker's high-impact polystyrene cabinet and stainless steel grille. The cabinet and grille also accepts a variety of paints to match any décor. Note: The Control 25AV exceeds Mil Spec 810 for humidity, salt spray, temperature and UV. IEC 529 IP-X4 splash-proof rating. 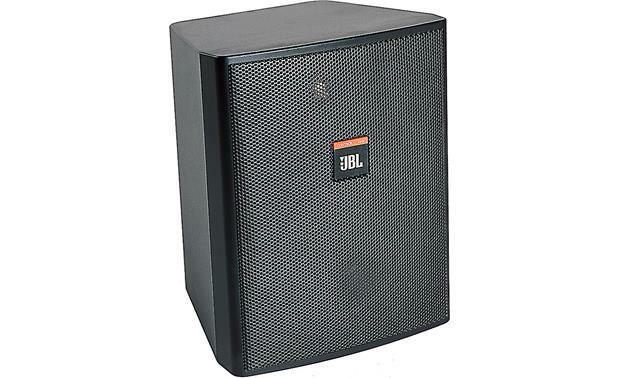 Dimensions: Width 7.4375" Height 9.3125" Depth 6.3125"
Searches related to the JBL Pro Church Auxiliary Sound System Bundle Distributed audio system for church lobby, cry room, classrooms, and other auxiliary spaces.